There are a couple of good reasons you might want to tracing a mobile phone location. Theft is one of the biggest concerns when it comes to smartphones, due to the amount of personal data being carried around in our pockets on a daily basis. Keeping track of friends and family is another potential use and can be useful for keeping a traveling party together or meeting up for lunch in a busy park without so much as a text message 3 Useful Apps To Replace Your Mobile Text Messaging Plan 3 Useful Apps To Replace Your Mobile Text Messaging Plan Read More or phone call. Without further ado, let’s take a look at some of the options. The following apps are designed to find a phone you suspect has been lost or stolen. This one is naturally limited to iPhone users only (though the general principle is identical for iPad and iPod Touch owners) and is Apple’s proprietary method of locating a lost mobile. In order to use the service you will need to have updated your iPhone to iOS 5 and set up iCloud How to Set Up iCloud For Your iOS Devices How to Set Up iCloud For Your iOS Devices No doubt the most welcomed feature of the latest iOS 5 update for the iPhone, iPod, and iPad is Apple rolling out iCloud and wireless Wi-Fi connectivity for its smart mobile devices and Macs. Many... Read More over at iCloud.com. Once done you can login with your Apple ID credentials and click on “Find my iPhone”. The website will then attempt to locate the device and provide options for playing a sound, sending a message or even locking and remotely wiping the contents of the device. Similar to Find my iPhone above for iOS, Lookout Mobile Security provides a web-based control panel from which users can locate their Android device 6 Best Apps to Use When You've Lost Your Android Phone 6 Best Apps to Use When You've Lost Your Android Phone It's amazing how even the most organised individuals can occasionally find themselves up that notorious creek without a paddle. Plan B is the application to install when your phone is already missing. However, if you're... Read More . Once the app has been installed and your device goes missing you’ll be able to disable silent mode to sound a loud alarm, remotely enable GPS to facilitate locating your device and view the location on a map. The software also provides a good antivirus solution, making it an all-rounder in terms of protecting your device and data. However, there’s always the possibility of your phone going missing without any tracing software installed, and in these instances it’s reassuring to have Plan B available to you. Also developed by Lookout, Plan B can actually be installed after your phone has been lost via Google Play Google Announces Google Play: A New Cloud-Based Service For Google Apps, Music, Movies & Books [News] Google Announces Google Play: A New Cloud-Based Service For Google Apps, Music, Movies & Books [News] Read More . It will automatically start when installed and email the location of your phone to your Gmail address. You can then query for location fixes by texting “locate” to your number from a friend’s phone. While limited in its uses, Plan B is a great last resort for missing phones. Microsoft’s equivalent to Find my iPhone, this service allows users to login at WindowsPhone.com in order to locate their device on a map. In addition to basic location, it’s possible to ring, lock and erase the contents of your device remotely from any Internet-connected computer. To use the service, simply login using the same Windows Live ID connected to your phone, click My Phone and then Find My Phone. Prey is all-round protection for your devices from thieves. We’ve covered the program extensively Track Down and Recover Your Stolen Laptop With Prey Track Down and Recover Your Stolen Laptop With Prey Read More in the past, and it’s available for Android and iOS as well as Mac OS X, Windows and Linux computers too. 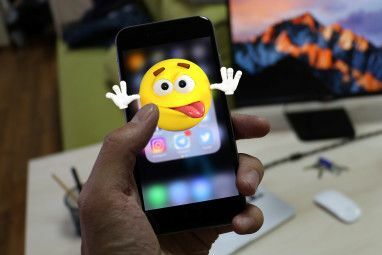 At the time of writing the iOS version is pending review thanks to some “problems” encountered by Apple’s app review team, but the developers plan to “fix” and re-release the app as soon as possible. Android and desktop OS users can go right ahead and install the software. 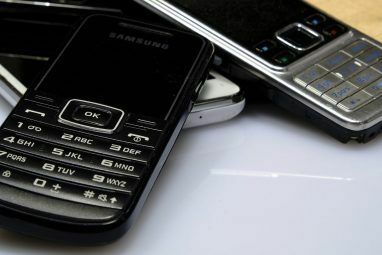 Once a device goes missing users should send an SMS to their Android phone to enable the software or mark the device as missing on the Prey control panel so that the software begins locating your device. Sometimes you just want to keep in touch with friends via location, and these apps will allow you to do so. iOS users (that’s iPhone, iPad and iPod Touch) can download Apple’s own Find my Friends app to keep in touch with friends who are also using Apple devices. Friends can be added according to their Apple IDs and once you’ve got a contact or two you can precisely locate that person’s current location on a map. Find my Friends automatically shares your location on-demand with contacts of your choice. You can choose not to share your location or use a temporary location if you’re concerned about privacy. This is by far the simplest way for iPhone users to stay connected, but is limited to iOS devices only. An ideal cross-platform device for tracking your friends from iOS, Android, Blackberry, Symbian and even Windows Mobile (that’s pre-Windows Phone). It is also possible to use Latitude via a web browser and once you’ve racked up a few miles worth of logs Google uses your location data to build up some interesting diagrams based on your activity. While Latitude is the closest thing here to a “cross-platform” location tracking service, be aware that a number of users have complained about serious battery drain thanks to location services being used fairly regularly while the app is running. While Foursquare operates a little differently to the apps I’ve already listed here, it’s still a potentially useful tool for tracking down friends and colleagues. What makes Foursquare different is the fact that users need to actively check-in to locations in order to share their whereabouts with you. Foursquare is not an app for precisely picking someone out of a crowd at a ball game, but it will let you know roughly where your friends are and notifies you of nearby check-ins which is handy for meeting people on a whim or discovering you’re both at the same supermarket. It’s also quite a fun game to play, and is perfect for those who are uncomfortable constantly sharing their exact location. While Facebook also does check-ins now, I find Foursquare to be more rewarding thanks to badges, tips and potential discounts for check-ins and mayor-ships. These are a selection of the best apps for tracing a mobile phone location and finding friends in a crowd. At the moment it would seem that Windows Phone 7 could do with a few more apps and solutions, though Microsoft’s own Find My Phone feature is a great tool to have at your disposal. 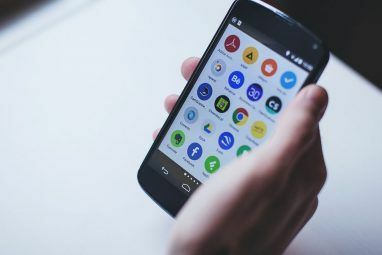 Those of you using Android and iOS are almost spoiled for choice – just don’t forget to set up your tracking software before your phone goes missing! Have you got any favorite solutions for tracing a mobile phone? 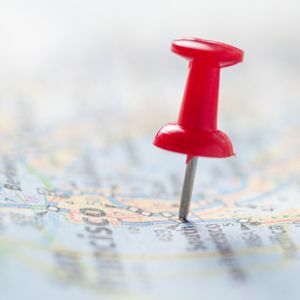 Do you share your location at all times using Latitude or Find My Friends? Or is Foursquare more your sort of thing? Have a say in the comments, below. Explore more about: Geotagging, GPS, Smartphone Security. Hey guys! Do you know pozzr.com ? They don't have an iOS version yet, but it works well for me. I am looking at an app which can be used for iOS and android. I want something which will work on both platforms as I know most of the apps is just purely a single platform (ie: either works only for iOS or android) so that you can connect to friends on both platforms. Let me know if this is available. I suppose everyone uses Foursquare/Swarm nowadays, and since Swarm is tracking you constantly by defoult, you are always visible to your friends, unless you turn this feature off. Which is of course preferable thing to do. However some use professional tracking apps instead, which cannot be easily detected. The only way to avoid it is to keep an eye on your own phone, because to operate properly, they need to be installed on your device. Very goot HLR lookup service to locate mobile phone locatio.me. You can try for free! my iphone 3g is no where to be found and its dead. i need to locate it by using my number or any accounts.. Please someone help me?? I don’t think what you are asking to do is possible. However, you may try asking your question on MakeUseOf Answers. A new app that realy works and helps you with your friends that call you when you dont realy want to... it's the : IDpro announce the incoming caller’s names, helps you screen the incoming calls – works with earpiece/Bluetooth/speaker, IDPro also announce the incoming caller name when you receive a waiting call and much more!!! try "mr tracker" app , check to see if it is compatible first and your country network provider aswell. make sure you have you know your imie location. i know it works for the nokia n9 dont know about the lumia 800. there are a few apps out there but you have to pre install them. if u have not done so mr tracker would probarly be your best choice , its around 20 dollars from mrxsystem website. i hope it helps you. What if the thief does factory reset on the iPhone or Android? Then I'm afraid you're out of luck, as the phone will be completely erased back to its factory settings. In this instance, your best bet is to call up your network carrier so they can ban the phone from the network by blacklisting the IMEI. If you haven't already, make a note of your IMEI (keep it hidden) and then you can always ruin the thief's spoils. Use an Android spy app to spying someone without any trouble. Just simple visit BlurSpy Android spy app. Also, you can monitor your teen's activity and catch a black sheep in your office with the help of BlurSpy Android spy app.